We're now in the second half of season four in Fortnite: Battle Royale, and the challenges are upping the ante this week with their difficulty level. This week's list of challenges will send you all around the map to earn your Battle Stars, so be prepared to grind out the game if you want to rank up your Battle Pass this week. You'll need to get bold and start pushing care packages in order to earn these stars. This challenge will take some luck to finish, because the only way to get it done is have packages land near you and open them yourself. This challenge should come naturally over time when playing the game. If you're having trouble with it, try getting more aggressive and pushing up on enemies you normally wouldn't. There are a number of chest spawns in Loot Lake, including inside of the house in the middle, in the row boats around the lake, and in the factories on the shore. This week's update added a bunch of posters throughout the map, starring the blue and red heroes from the season four Battle Pass. You'll need to walk up and use a spray emote to cover them up seven different times to pick up these stars. 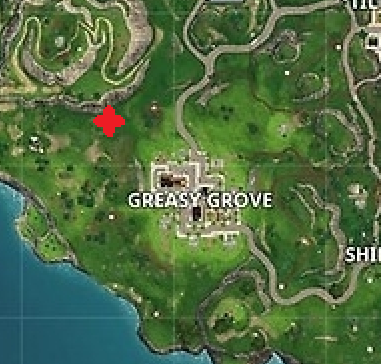 This challenge can be solved by heading to a brown patch of grass to the Northwest of Greasy Grove. This is another one that will come over time. Make sure to pick up SMGs for kills and use them to finish off enemies you've downed for it to count for the challenges. 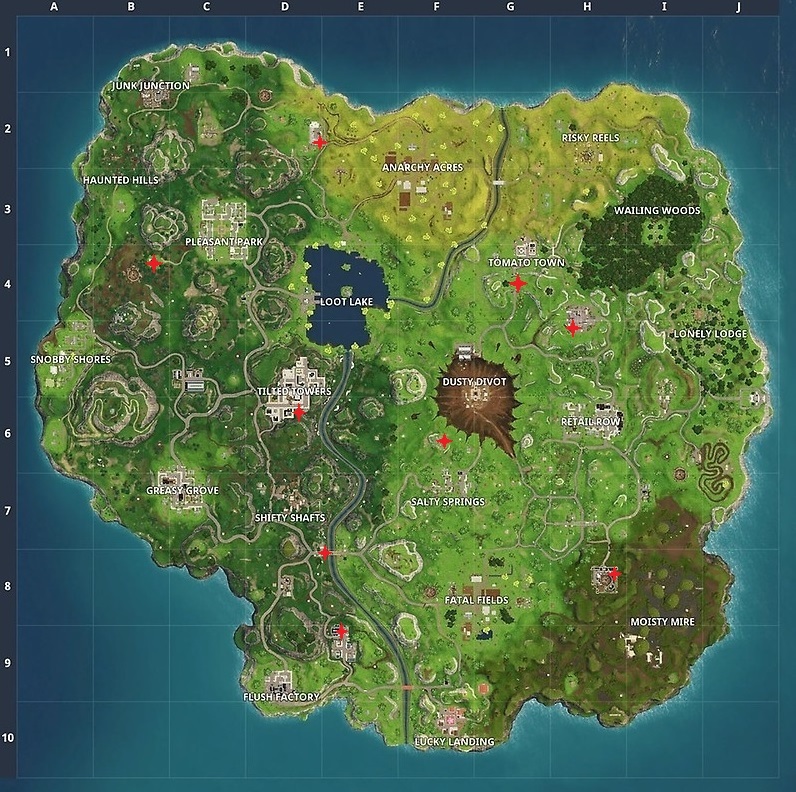 Retail Row is one of the more popular landing spots on the map, so land here for a few games and duke it out for a relatively easy elimination challenge.